Acupuncture is the Chinese medical art of inserting fine needles into the skin to relieve pain or disability. Over the last 40 years, millions of people in the West have been introduced to this form of healing. Treatment takes very little time and is relatively painless with virtually no side effects. Fine, sterile, disposable, non-hollow needles are inserted into various points on the body. The needles are removed within a few seconds. Some needles are inserted near to the problem area, for example in shoulder muscles to treat a stiff neck, whilst others may be inserted some distance from the problem area, for example in the foot to help prevent nausea and vomiting associated with chemotherapy. The needles are not left in for long, as this tends to cause drowsiness. The treatment is usually given once a week. No one knows exactly how acupuncture works, so there are many theories! It is thought that the stimulation of acupuncture points releases minute quantities of the body’s own painkillers called endorphins. Energy pathways that have been blocked by tumour, trauma or surgery can be opened by acupuncture treatment. Further, the stimulation by acupuncture needles can initiate a healing process in damaged tissues. 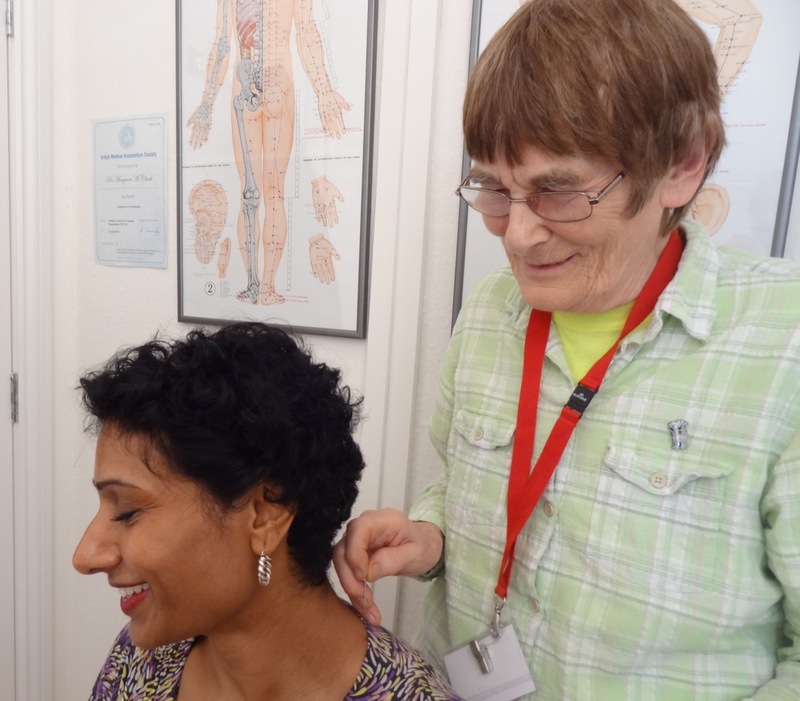 Acupuncture is a complementary therapy that can be used successfully in combination with orthodox medical treatment, Spiritual Healing and Reiki Healing.